Sunscreen gel protects you from the harmful effects of sunlight. Here is a good deal regarding Sunscreen Gel. Amazon is selling Lotus Professional SPF 30 PA++ Phyto RX UV Screen Gel, 80g worth Rs. 545 at Rs. 199 only. It’s a good deal. So, Hurry and Buy Now !!! 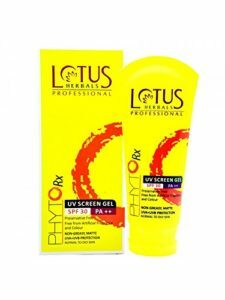 How to Buy Lotus Professional SPF 30 PA++ Phyto RX UV Screen Gel, 80g at Rs. 199 ? We share many more Amazon deals, coupons, discounts. Keep visiting !! !